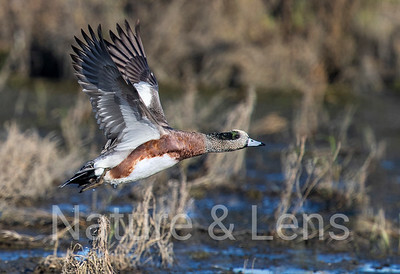 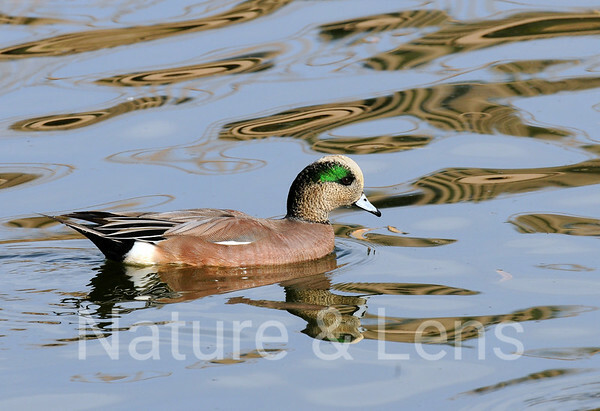 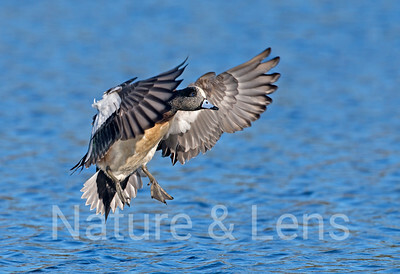 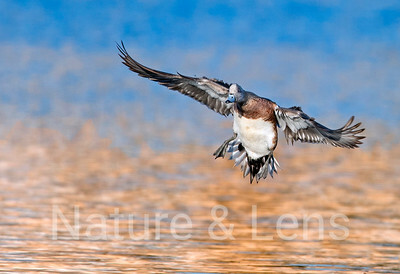 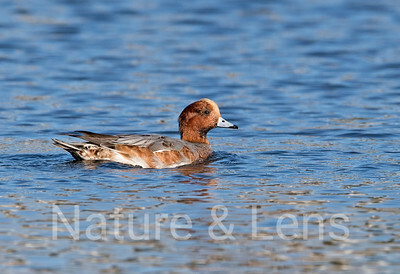 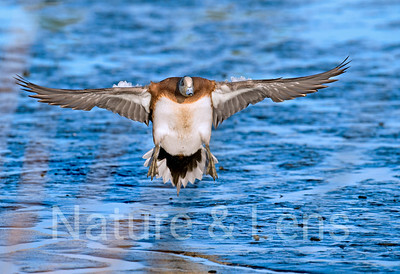 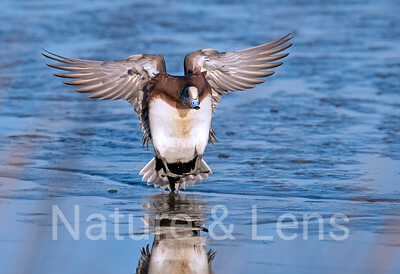 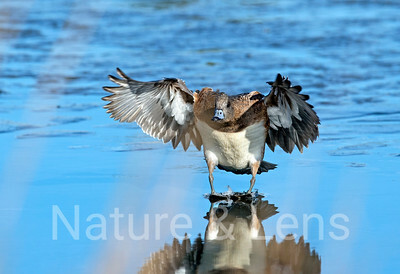 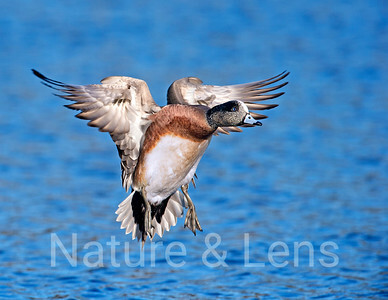 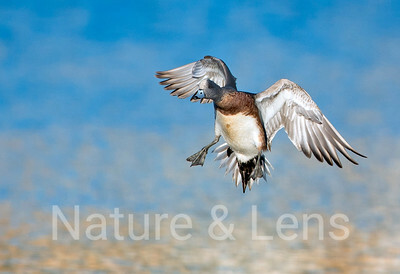 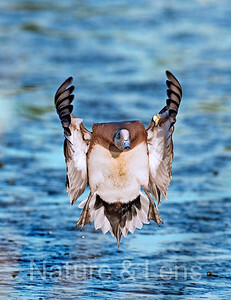 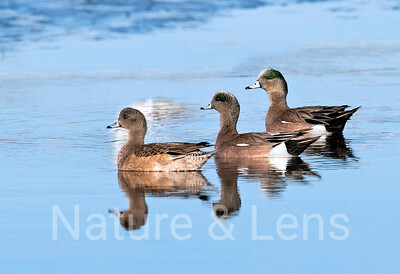 American Wigeon, while most dabbling ducks are denizens of the shallows, American Wigeon spend much of their time in flocks grazing on land. 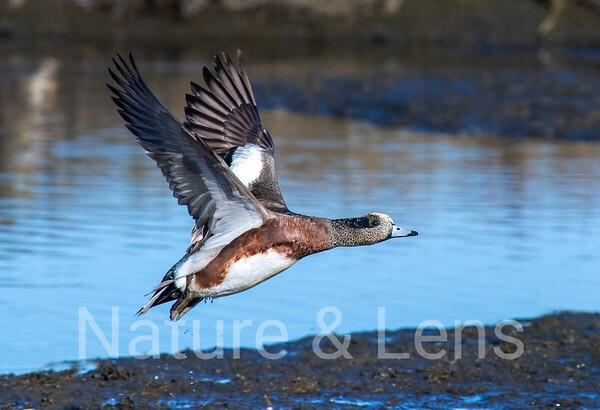 Paradoxically, they also spend more time than other marsh ducks on deep water, where they get much of their food by stealing it from other birds such as coots or diving ducks. 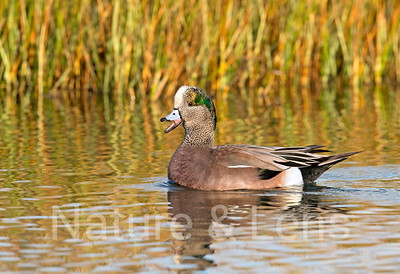 This duck was once known as "Baldpate" because of its white crown.